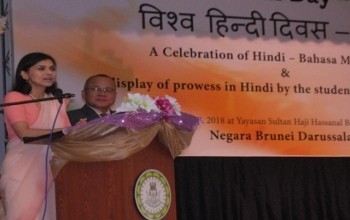 The High Commission of India in Brunei Darussalam organized the World Hindi Day on 08th March 2018 at the Yayasan Sultan Haji Hassanal Bolkiah School, a prestigious local school run by the Royal Foundation. Twenty-six Bruneian students of the School from the Middle and Secondary sections participated in the event by reciting poems, singing songs and delivering speeches in Hindi. All participants were awarded certificates and books. The 8 finalists were presented with cash awards, certificates and books. The event was held in the school auditorium with all the students of the middle and secondary classes in attendance. Speaking on the occasion, the High Commissioner, Smt. 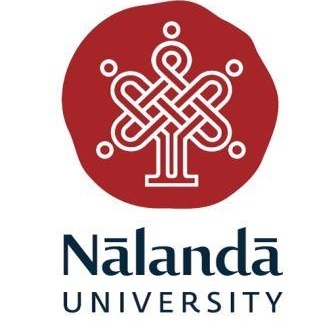 Nagma M Mallick traced the influence of Hindi in South-East Asian languages, including Bahasa Melayu, historic cultural linkages established between India and south-east Asia through Hindi and the role of Bollywood in popularizing Hindi in the region in recent times. She engaged the students in an interactive session of identifying Melayu words of Hindi and Sanskrit origin. She also encouraged the students to become multi-lingual to become more global and well-rounded. The event was attended by Mr Noorhaizamdin Bn Hj Mosbi, the CEO of the Yayasan School, Dato Paduka Hj Shofry, President of the Parent-Teacher Association and an eminent artist of Brunei Darussalam and the Principals of the School. Around 800 students in the audience actively engaged in the interactive Hindi-Melayu session with the High Commissioner, Smt. Nagma M Mallick.